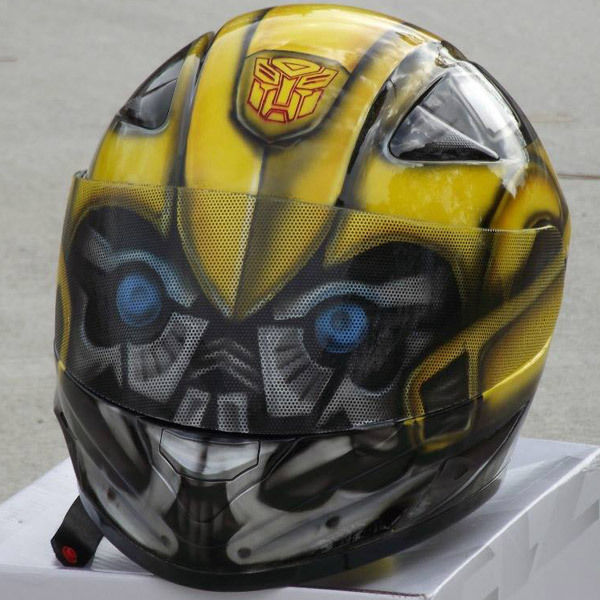 Turn heads, with this unique custom airbrush painted Transformers Bumblebee fullface motorcycle helmet and see through visor! 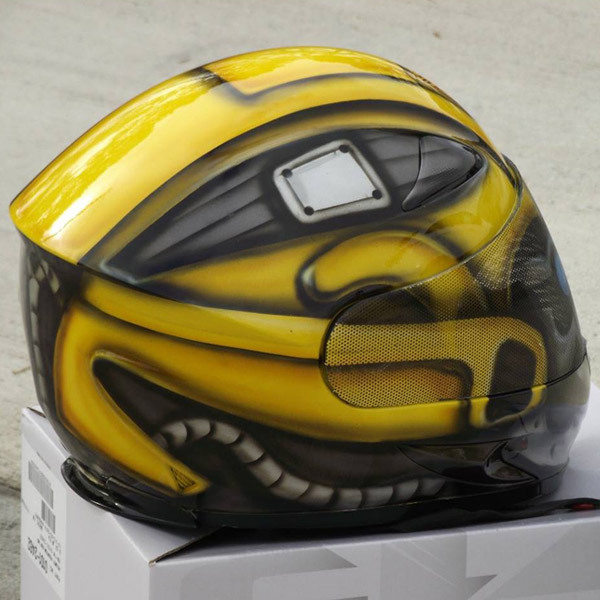 Freshcoat Motorcycle Paint is proud to offer this detailed airbrushed work of art.. The helmet is a new DOT approved AFX FX90, simply select your size. 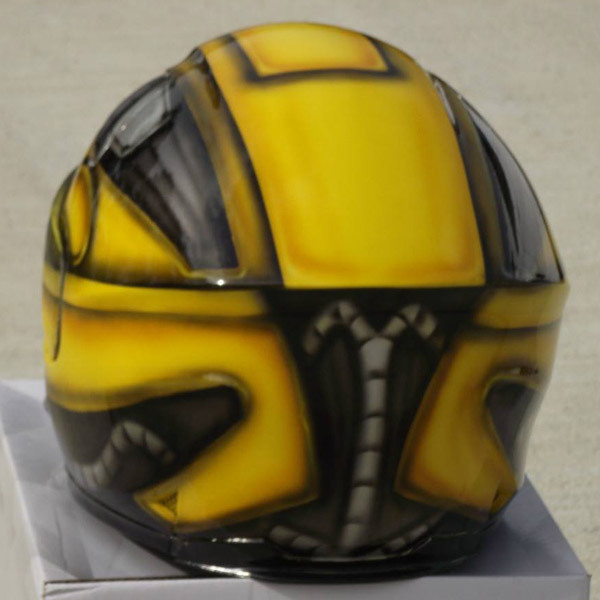 Premium automotive paint is used on all helmets, sealed with high build urethane clearcoat. The helmet remains fully functional and visibility is compared to a tinted shield, not recommended for night or rain riding. AFX’s aggressive FX-90 asks no compromises, giving safety, style & features at a price that’s sure to amaze.